← Beautiful Cape Cod Hydrangeas! So sorry I’ve been MIA. Back now with much to share! 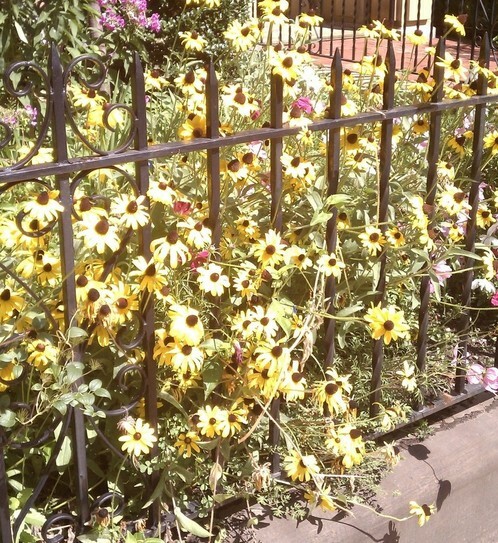 Let’s start with a lovely and tough city beauty – the Black-Eyed Susan. For the past several weeks I’ve been noticing the abundance and health of this perky perennial in gardens all over the neighborhoood. With so many colorful flowers past their peak, these bright yellow and sometimes purple flowers with the dark centers are finally getting attention! I did a bit of research on these wildflower stunners and found out they are long-lived, low maintenance plants with a tolerance for clay soils. They prefer full sun but tolerate partial shade. When they are planted in large groups, butterflies love them. One article I read said they are considered bioremediators. It seems that their roots and foliage tie up toxins from the soil and air. 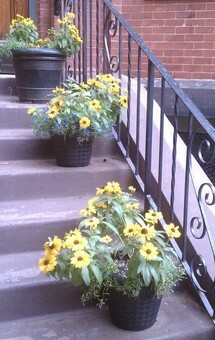 What a great benefit for a city flower! To read the whole poem and more, click here. 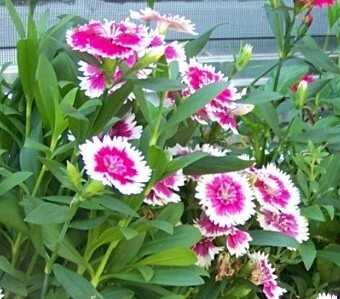 You may have heard of Sweet William. It’s the name for another flowering plant. It appears that if you “seed wild Sweet William (Dianthus barbatus) with common Black-Eyed Susan (Rudbeckia hirta), they’ll bloom beautifully at exactly the same time.” Now that’s romantic! Great flower, great story. Til next time… keep your garden watered! This entry was posted in Flowers and Plants, Local Beauty, Recommendations, Sunlight and tagged black-eyed susan, Choosing Plants, City Garden Ideas, Favorite Garden Flowers, rudbeckias, Small space gardening, Sunlight, urban gardening. Bookmark the permalink.